Hossein Samei received his B.A. in Persian literature from the National University of Iran in 1979 and completed an M.A. (1987) and Ph.D. with high honors (1997) in Linguistics at Tehran University. 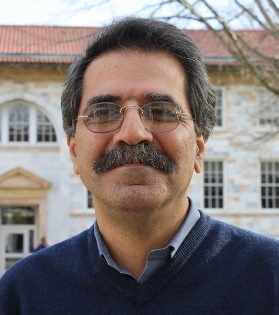 Dr. Samei taught a wide variety of courses in Persian language and literature and linguistics, including phonetics, phonology, semantics, and general linguistics, at Allameh Tabatabai University, Azad Islami University, and Tehran University, and spent a year as Yarshater Fellow in Iranian Studies at Harvard University before coming to Emory in 2001. Dr. Samei is currently serving as language coordinator of the Persian program. His research interests include pedagogy, lexicography, sociolinguistics, and general linguistics. He is co-author, with A. M. Haghshenas and N. Entekhabi, of A Millenium English-Persian Dictionary, 2 vols. (Tehran, 2000), widely regarded as the most comprehensive English-Persian dictionary available to date, and a number of articles on Persian lexicography and other topics. Current projects include materials for the teaching of Persian and a study of linguistic taboos in Persian.